Secularization is at the threshold of every church because it is in most Christian households. There is more to Christianity than attending church and serving on church committees. In a secular age, ministry by Christians in the daily world is as significant as their ministry inside the church walls. 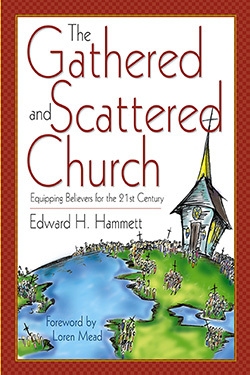 Hammett takes seriously the issue that we are now living and serving in a secular culture. The message of Christ can penetrate the world when Christians learn to be and do church, both inside and outside the walls of the church. He offers suggestions about understanding, activating, and evaluating the church and how we can equip believers for effective ministry in the 21st century. Church leaders struggle to find effectiveness, fulfillment, and relevancy in this changing world. Hammett recognizes these challenges and offers opportunities for reframing ministry. He provides a guiding light toward success in seeking to share Christ in a secular age.